There's quite a lot to be said about LIGHTNING RETURNS: FINAL FANTASY XIII but chances are that most of it has been said elsewhere. It’s the concluding game in a wildly polarizing trilogy with a protagonist that is way more popular in Japan than she is in the west and, atop that, Square Enix has borne repeated criticism for developing the Lightning Saga rather than focusing on Final Fantasy XV. With those opinions and preconceived notions out of the way, we can skip right to the point: Lightning Returns is a good game. Great game? No. Lightning Returns has too many strange technical issues, too clunky a story, and excessively uneven combat mechanics to be the stellar, knockout game that I was hoping it would be. Nevertheless, it is a good game that takes several risks. Some of which, even, pay out in droves. 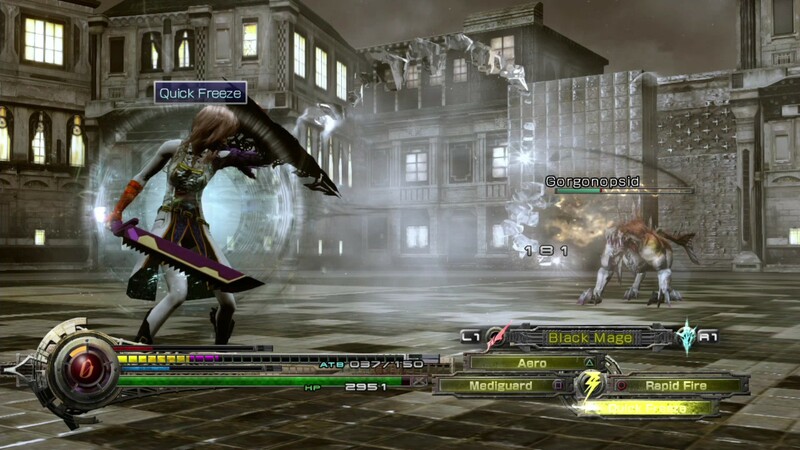 Lightning Returns entered development almost immediately after the release of its predecessor, Final Fantasy XIII-2, but the game wasn't formally announced until months later in the fall of 2012. By then, XIII-2 had restored a modicum of faith in Motomu Toriyama and his team: the combat was fun, the maps expansive, and the soundtrack absolutely killer. 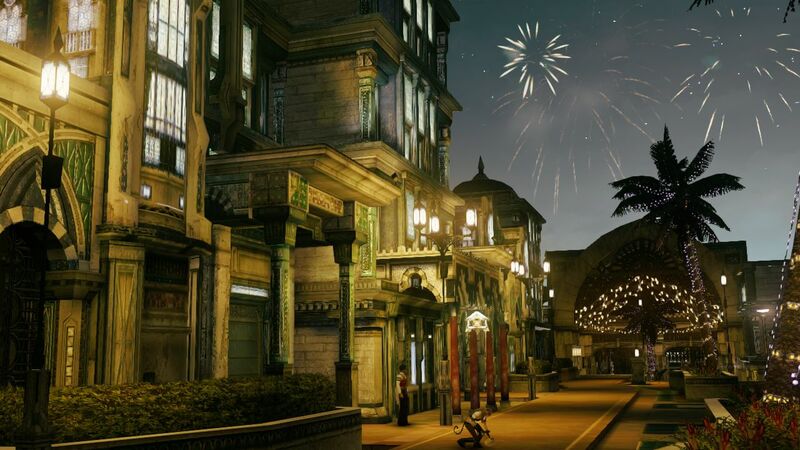 Nevermind that the story and it’s “To Be Continued…” ending were intolerable; XIII-2 was fun to play and, by the logic of gradual improvement, it seemed that Lightning Returns might redeem this torrid chapter in Final Fantasy's history. Toriyama and company touted a world-driven experience, a twist on the combat system, and the looming threat of a countdown to the world’s end that reminded gamers everywhere of Majora’s Mask. 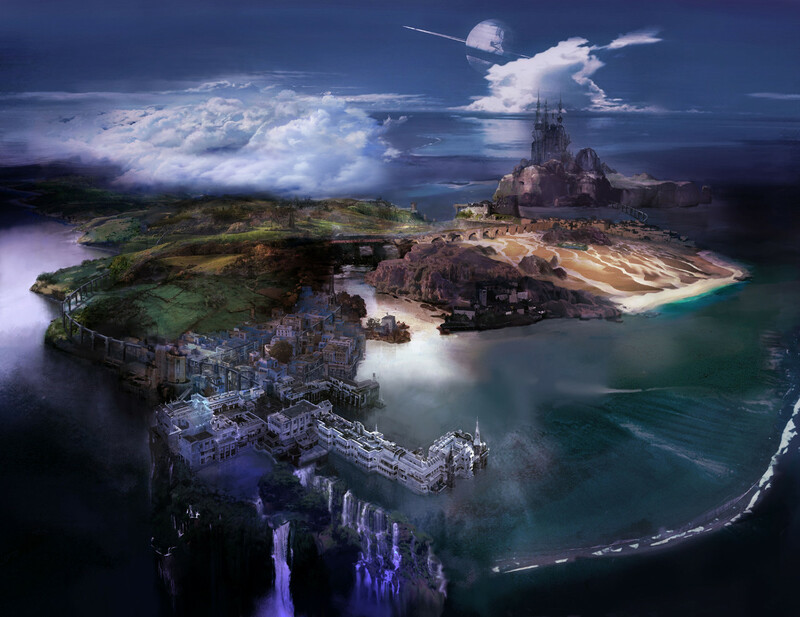 Square Enix genuinely got behind the project as well, providing fans with previously unthinkable access to the development team via documentaries, regular interviews, and a flood of screenshots and soundtrack teases. By all measures, Square Enix was comfortable and confident with the content and quality of Lightning Returns—perhaps as eager as others to reach the conclusion of the story of Claire Farron and her allies. Five hundred years after Serah died and Lightning entered a crystal slumber, the world of Gran Pulse has all but sunken into an ocean of Chaos that was released from Valhalla upon Etro’s death. This wrecked world is called Nova Chrysalia and in thirteen days Almighty God, Bhunivelze, will destroy it and populate a new world with the souls of those Lightning has saved. This is but the most recent iteration of thematic tone of the series: humans being compelled to obey the gods of the universe. Lightning embarks on a journey through the regions of Nova Chrysalia to gather souls for the new world while Hope guides her from the Ark high above. Though it is still far more manageable than either of its predecessors, the story of Lightning Returns goes haywire almost immediately. The game’s freestyle design means that chunks of the story can be experienced in whichever order the player so chooses. Some missions feel like they’re happening too soon while other elements of exposition get repeated or stated for the purpose of being obvious. Still, where Lightning Returns shines is when the story focuses on Lightning’s interactions with the characters that we know and love (whose appearances are too few and too underdeveloped in my opinion) while inching the saga closer and closer to closure. Lightning’s progress is intermittently hampered and helped by Lumina; she receives visions of Serah, sent by God, to motivate her along her divine mission. But Lightning can’t escape the suspicions that she is, again, a pawn of the deities. She can’t be sure of anyone but herself, not even Hope, and as the world slides closer towards its destruction she grapples with the trials and limitations of being a savior. Lightning Returns ramps up the emotion at the ending, and that’s my biggest qualm. Rather than evenly layer the return and eventual partings with these characters, Toriyama and company elected to bank up the most powerful moments in Lightning Returns for the last 50 minutes. That’s the game's more ferocious drawback but, though it is disheartening, it’s not enough to outright ruin it. Instead of in a party, Lightning journeys alone through most of Lightning Returns. Like Yuna in Final Fantasy X-2, Lightning switches between outfits called Schema to fulfill different jobs when in combat. Arrangements of these schema, called Schemata, are what give her rapid tactical advantages in battle. It’s an interesting take on the combat system that so often drew positive remarks but, as I mentioned before, it retains all the quirks of XIII and XIII-2 to the point of insanity. But the combat pales in comparison to the living, breathing world that Toriyama and his development team crafted for this last adventure. But the combat pales in comparison to the living, breathing world that Toriyama and his development team crafted for this last adventure. Nova Chrysalia is nothing short of gorgeous and absolutely brimming with eye candy and throwbacks to the earlier games. Whether it’s the corpses of Atomos and Titan in the Dead Dunes, or Etro’s Temple in the Wildlands, or the Ark shining in the night, the developers absolutely nailed the creation of a vibrant and unique landscape. Nova Chrysalia is not so open as they might have led us to believe but the maps are impressively large and sufficiently convoluted that they instantly made me regret the inclusion of the countdown timer. Nova Chrysalia is huge and wonderful. In addition to that, with the inclusion of a New Game+ feature, Lightning Returns can be replayed with all the accumulated stats, garb, and equipment from previous play-throughs. Because of those features, and the simple fact that accomplishing as many side quests and main quests as possible extends the countdown timer, I didn’t find the looming threat of the doomsday clock to be much more than a vague reminder that the game would eventually end. Most importantly, though, is the fact that there are only 5 (fairly difficult) main story quests but literally dozens of side quests. The side quests are responsible for leveling Lightning’s stats this time around but the change is only modestly strange at worst. Lightning Returns wants gamers to be part of a dying world, to lessen the fears and burdens of the populace, and everything converges perfectly in a rare handful of side quests that really examine the notions of an almost pointless immortality. I’m reminded of a quest where Lightning tries to find a missing woman only to discover that in a world of people who never age the missing woman was the lonely mortal who grew old and died. There’s a side quest in the Wildlands about a doctor saving the life of a man who killed her husband. In those few quests, Lightning Returns takes its theme to task in really unique ways. This entry in the Lightning Saga possesses the best music of the series. Hamauzu personally reforged the iconic “Blinded by Light” into “Lightning’s Theme -A Distant Glimmer-” and its morose but stirring notes, struck by piano, conducts Lightning’s opening narration of the consequences of Gran Pulse’s harrowing transformation into Nova Chrysalia. Mitsuto Suzuki contributed “The Ark” which acts as Hope’s veritable second theme and plays at the start of each day. Vocalized by choir and backed by piano, "The Ark" captures the majesty of a divine mission and the loneliness therein. “Meeting You” further develops the melody, this time only by piano, but it accompanies one of the most pivotal partings in the game and series. Suzuki’s choir makes a comeback in the aptly titled “Nova Chrysalia” which is a violin-heavy piece accompanied by piano and synthesizer to highlight the divinity and the decay of the world. Naoshi Mizuta perfectly captured the spirit of the Wildlands in what persists as one of my favorite tracks from the whole soundtrack in “The Last Surviving Wilderness.” Its orchestral arrangement, played predominantly on strings and horns, but never bombastically, conveys the beauty and burden of the world’s only wilderness. As a composer, Mzuta simply stole the show with his compositions for the Wildlands with both “The Wildlands” and “Sunset Path” deserving honorable mentions. Masashi Hamauzu brings the whole effort home with revisitations of his most prominent themes from the earlier games. “Humanity’s Tale,” “Credits - Light Eternal,” and “Epilogue” (which I will not link here, because GO PLAY THE GAME) expand the musical forms of his most popular themes (too many to name here) and bring an emotional auditory conclusion to the series he has played such an integral roles in. “Almighty Bhunivelze” deserves a hefty mention as well. Not only is it—spoiler alert—this game’s final boss battle, but it incorporates elements of “Fighting Fate” and “Nascent Requiem” which is a pretty awesome way for Mizuta to offer up an auditory nod to Hamauzu. Lightning Returns is a good game that, as with its predecessors, struggles beneath the heavy weight of the “Final Fantasy” name. This entry packs in numerous customizations, mountains of fan service, and a conclusively finite story that reinforces its favorite themes, all while coming from a developer that is obviously very genuinely glad that we’re still playing. 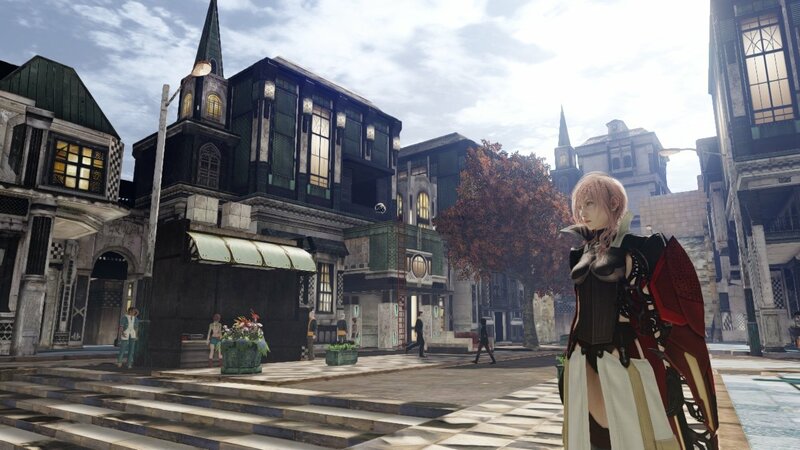 In some ways, Lightning Returns surpassed my expectations. In others, it missed them. That doesn’t stop Lightning Returns from being the best game in the Final Fantasy XIII series, nor does it keep me from finding enjoyment and closure in the end of one journey and the beginning of another. I agree with the review. Not a perfect game but it's definitely the best game of the XIII trilogy. I had planned to buy it but then I saw an awesome Vincent Valentine Play Arts action figure (first one I have bought since the 90's) on sale so I picked that up instead. I have also pre-ordered Thief so I think Square has gotten enough of my money this month. I might do a review of the Play Arts action figure soon. I picked the game up a few days ago and I like it so far. It's much better than XIII (I never got XIII-2 so I don't know about that one). Please review it, Kula. Please. Ok. Vincent Valentine review is coming soonish.